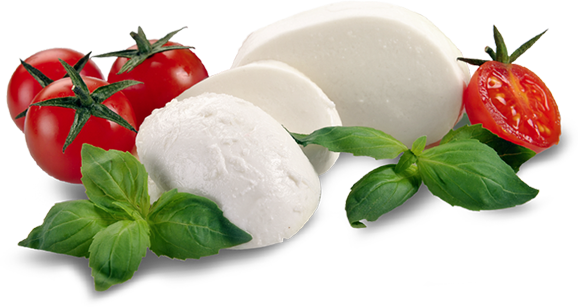 Welcome & Enjoy a Taste of Italy! If you’re in the mood for a delicious Italian meal, then look no further. 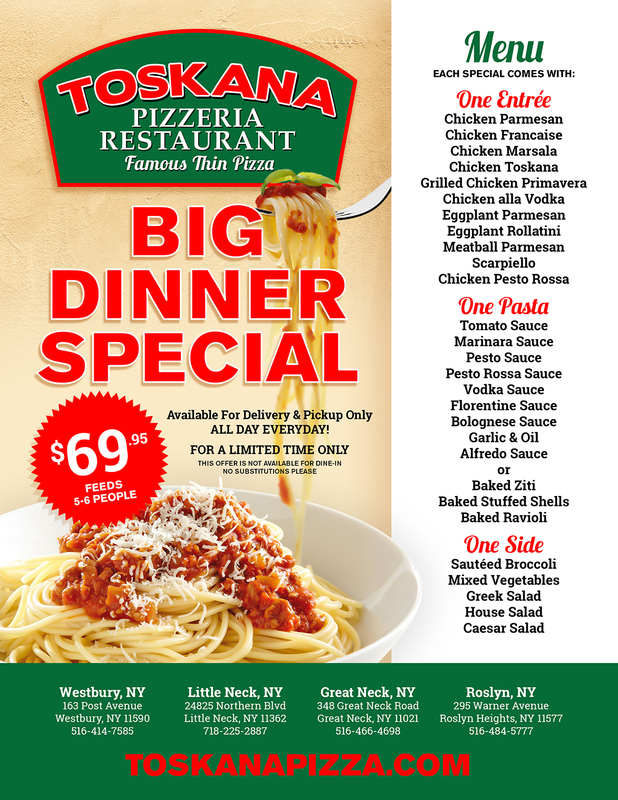 Toskana Pizzeria Restaurant serves Old World traditional dishes in a friendly, casual, atmosphere. We are committed to preparing food with only the finest and freshest ingredients. Whether you are a returning customer or visiting us for the first time, you can be certain to receive a warm welcome and a great dining experience. Choose 3 quarter-sized catering trays from a list of entrees, pastas, and sides. Not to be combined with other offers. Toppings Extra. All Day Everyday Specials for 2!